The Supply Chain & Logistics Association (SCLAA) and the Australia International Trade Association (AITA) announced the formation of the Belt-and-Road Australia-China Supply Chain and Logistics Alliance and formally signed the Memorandum of Agreement implementing the Alliance. The event was attended by a number of dignitaries including Mr Guo Jinsheng (Secretary General of Shanxi Electronic Commerce Association), Mrs Zhang Hongping (Asia Europe Exchange chairwoman), Mr Cai Jin (vice president China Federation of Logistics & Purchasing), Mr Michael Guo, (CEO, AITA) and a number of senior company executives from both China and Australia. SCLAA is Australia’s largest association for supply chain and logistics professionals and practitioners, with national partners, corporate partners, members and industry contacts making up the rich tapestry of the association. 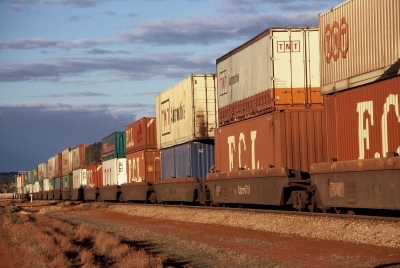 The Belt and Road Initiative can help connect all the major stakeholders involved in the supply chain and logistics industry in both Australia and China by eliminating unnecessary trade barriers, enhancing bilateral communications, and thus providing two countries with new opportunities to engage in international trade and investment collaboration projects. The alliance will serve its members and facilitate Australia and China supply chain and logistics development and cooperation. The alliance aims to provide a new platform with a wide range of services, including conferences, exhibitions, business consultation, oversea visits, training programs, etc. to help enhance communication, and increase collaboration partnerships between all alliance members, including functional government departments, industrial associations, institutions and corporate enterprises.